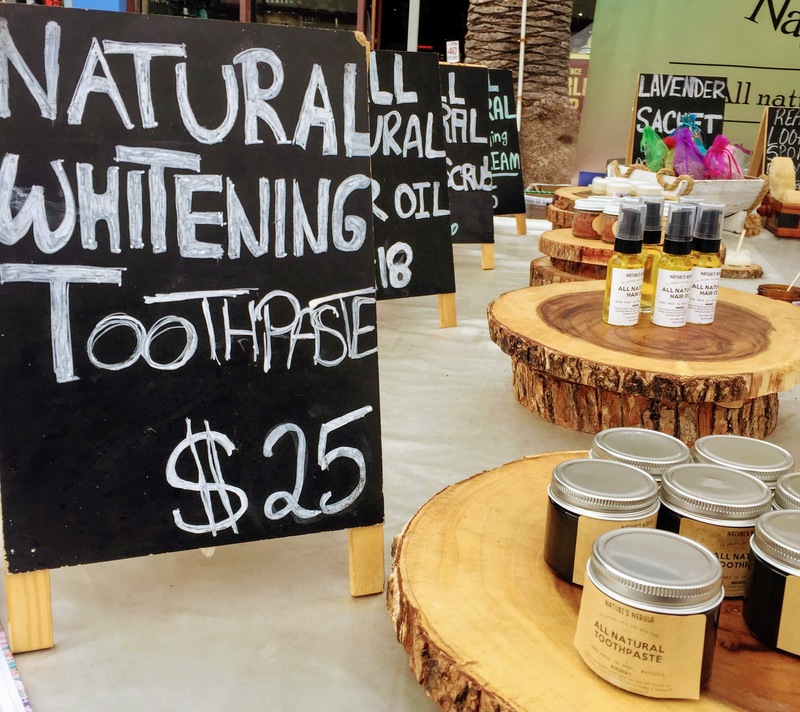 While meandering through the Hermosa Beach Farmers Market one Wednesday afternoon, I stumbled upon a beautiful display of essential oils, natural teeth whiteners, jade face rollers and real loofahs. Intrigued and impressed, I sparked a conversation with a charming young woman behind the display. 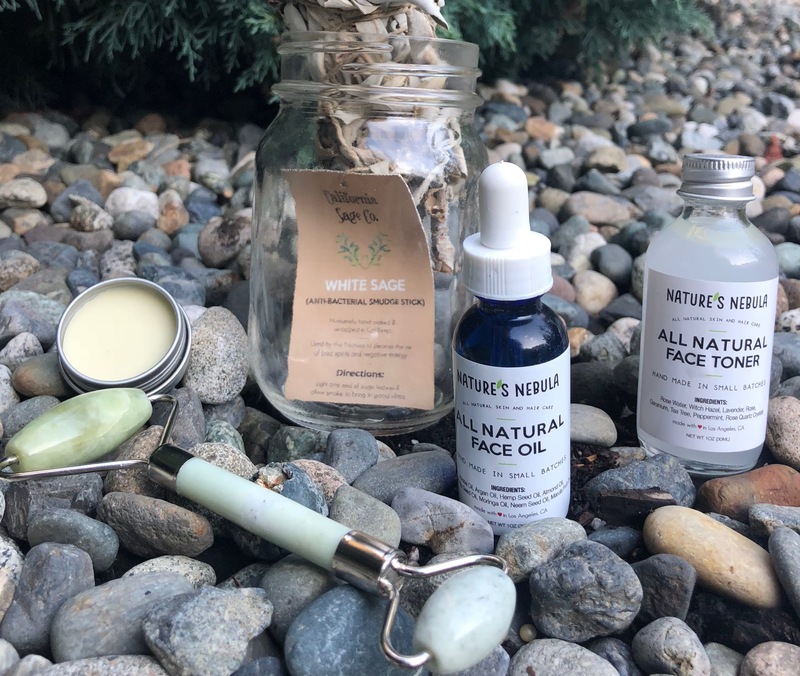 We began chatting about our shared passion for natural products, and I was blown away by her extensive knowledge and passion that has led her to create Nature’s Nebula. 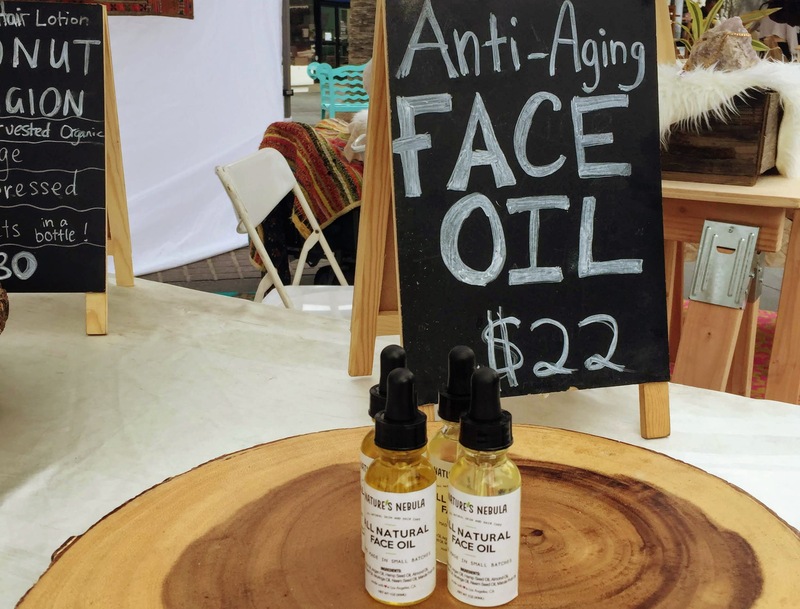 I sat down with Lana Mahmood to find out what led this California native to follow her passion and build an all-natural skin care company. HLT: What was your upbringing like? LM: Growing up in San Diego and Riverside County, I had a deeply rooted materialistic mentality. I was raised to care about brand names, fancy cars, the latest fashion, makeup–all of it. I valued and prioritized the material world without ever considering the natural world around us. I had always envisioned myself somewhere in the fashion industry, until I got out of California and began traveling abroad. HLT: How did travel have an impact on your life’s direction? I did a few study-abroad programs through my university, which was related to my major in anthropology and had emphasized plant medicine, ethnobotany, and natural forms of alternative healing. I felt a profound connection with the forests and the natural world around me. Being exposed to different cultures and ways of life through traveling the world increased my awareness and motivated me. I began to feel a purpose far greater than I ever imagined; to restore the damages of the natural world, to increase the awareness of our interconnectedness to Mother Earth, to educate the world on the diverse array of plants and trees that can be used for natural ways of healing. I visited many forests in South America, Europe, Caribbean, and Middle East, but my true revelation hit me when I traveled to Ecuador and the Amazon Rainforest. I had stayed in the Amazon among the villagers and observed their daily routines and lifestyle. 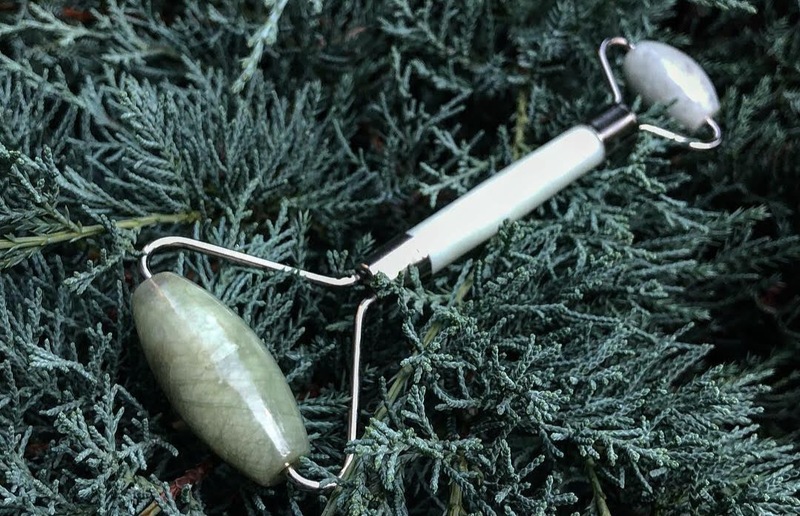 I noticed how they created skincare through the plants and trees within the forest, and this was so intriguing and inspiring to me since I was accustomed to American brands. Once I came home, I took everything I’d learned and began sourcing ingredients from the farmers I had met during my travels to formulate my products. HLT: What makes Nature’s Nebula products unique? LM: Apart from having a direct relationship to the source of the ingredients, we use absolutely no synthetic chemicals or synthetic preservatives in our formulas. Each of my skin care products are handcrafted with love, with positive energy, with positive prayers and with pure intentions for healing. We refuse to use anything that is harmful to our bodies and harmful to the environment as well, such as glycerin, Vitamin E oil, sodium hydroxide (also known as lye), fragrances, sodium biocarbonate, citric acid, Emulsifying Wax, Stearic Acid, Cietyl Alcohol, Hydroxyethyl Cellulose, Phenoxyethanol and many other common ingredients. HLT: On the topic of quality in oils, can you explain what processing does to oil and why it matters? LM: The main reason why quality matters when it comes to coconut oil or any type of oil in general is the way that it is processed, because this determines the value and nutrients in the oil. When the plant, fruit, nut, or seed is being processed, it is usually heated and considered expeller-pressed. The heating process causes the plant to lose nutrients, vitamins, and antioxidants. Most companies use heat because it is easier, cheaper, and you can produce more oils when it is processed that way on a larger scale. Alternatively, when the oils are cold-pressed in traditional methods from plants and trees without the machinery and heat involved, they retain all of their nutrients. They are filled with numerous vitamins, minerals, antioxidants and properties that nourish and hydrate us throughout every part of our body. What we apply topically on our skin goes straight into the blood stream and affects the whole immune system, so we must be extra cautious of what we put onto our skin. 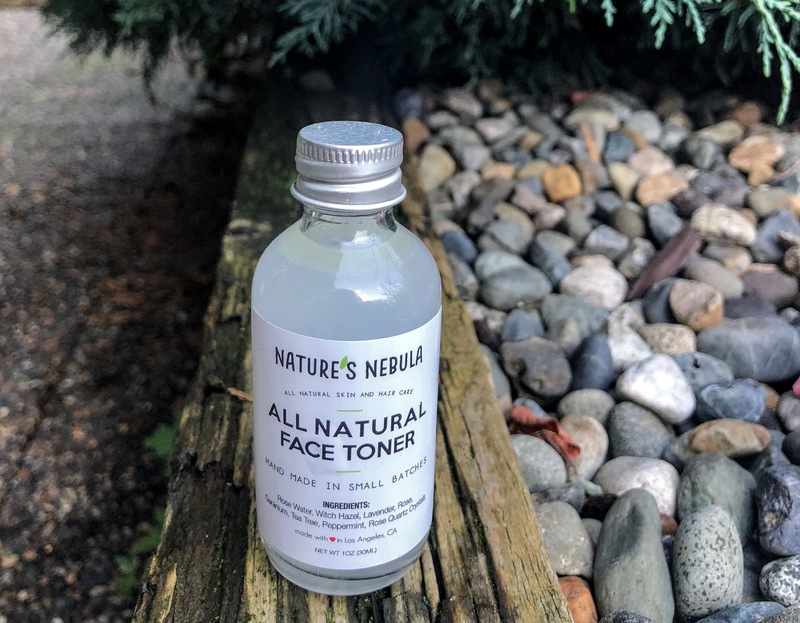 HLT: Where can people find Nature’s Nebula products? LM: You can find us at weekly farmers markets in the L.A. area, events and festivals. Check out the Nature’s Nebula website to order directly! You can also follow Nature’s Nebula on Facebook, Twitter and Instagram.